You’ve probably seen the paintings of surrealist artist René Magritte, even if you didn’t realize what you were puzzling over was by him. 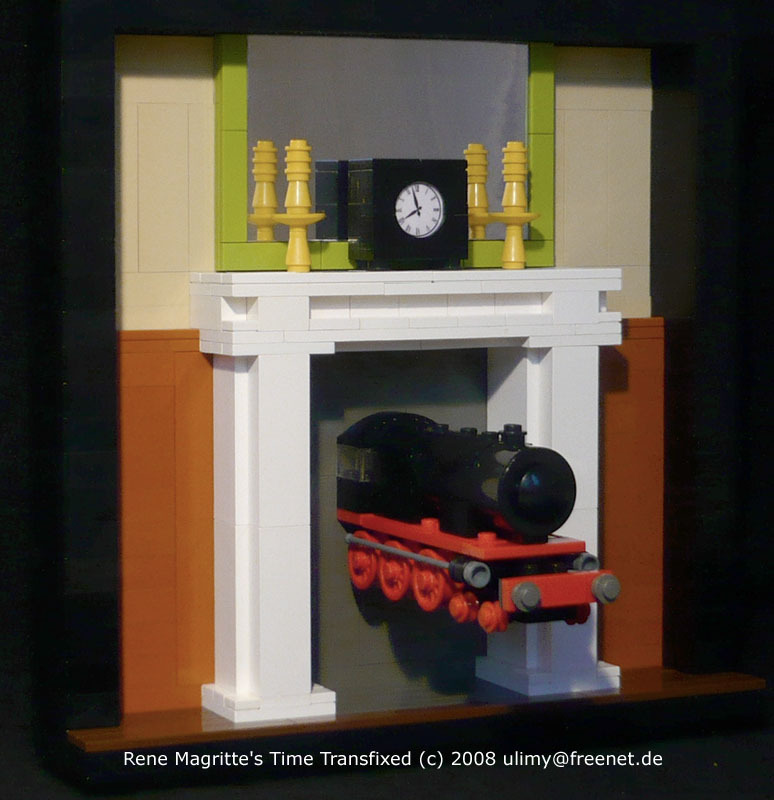 Uli Meyer has created a wonderful LEGO version of Magritte’s “Time Transfixed,” complete with a microscale train that’s great in its own right. When a steam train comes out of your fireplace, it’s time to start screaming, people.